The Hamilton Nightstand by Daytona is inspired by glamorous art deco interiors. The modern design features one deep drawer lined in high-quality fabric with soft metallic runners. 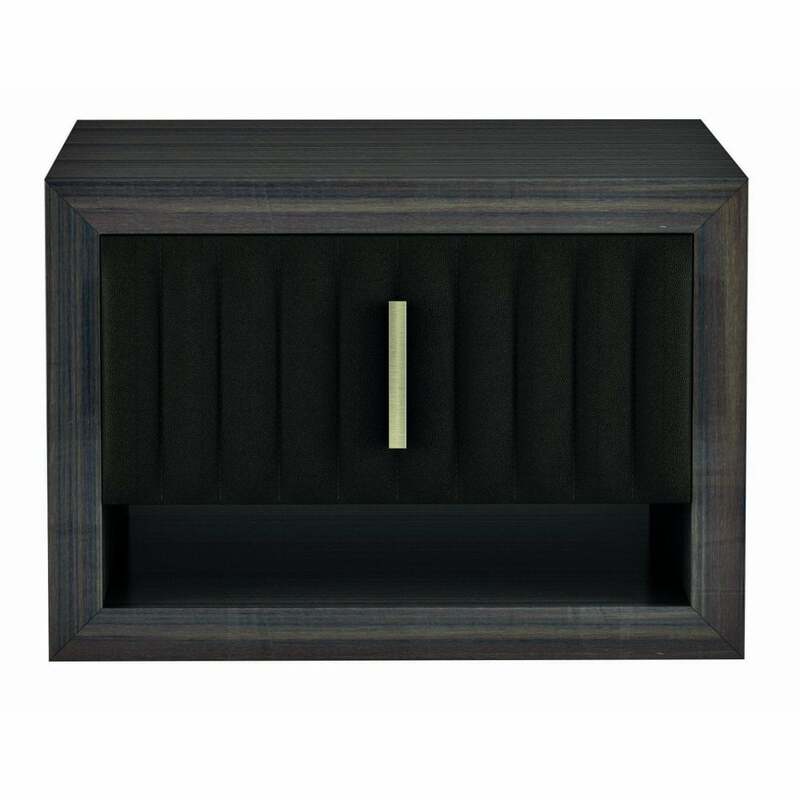 The drawer fronts are upholstered in beautiful grosgrain leather with Capitonné detailing and burnished brass handles. The solid plywood structure is finished with a dark walnut veneer to bring out the intricate grains in the wood. Daytona offers a wide selection of lacquered woods to choose from as well as a choice of fabric, leather or nubuck leather drawers. Get in touch with our team for more advice and information. Pair with the Voyage Bed to create a luxurious bedroom scheme.